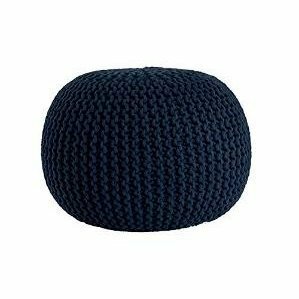 Add a decorative piece to your living room or bedroom with the Urban Shop Round Knit Pouf. The woven pouf can act as a décor accent piece in the corner of your room or give an extra soft seat to guests. The soft knitted texture is made out of polyester and is available in various colors. Dimensions: 18" diameter x 15"H.